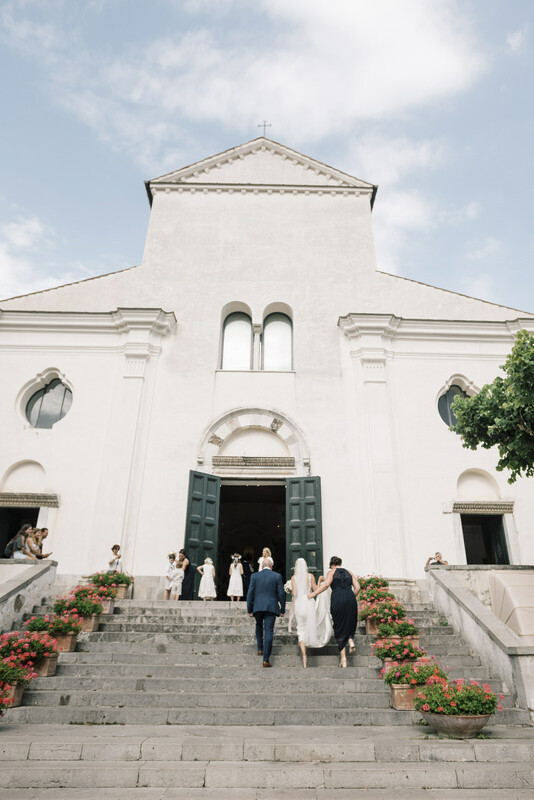 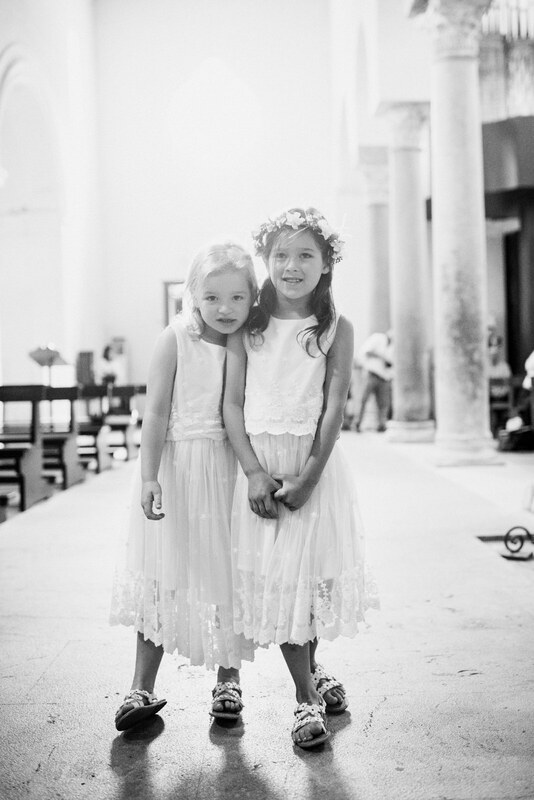 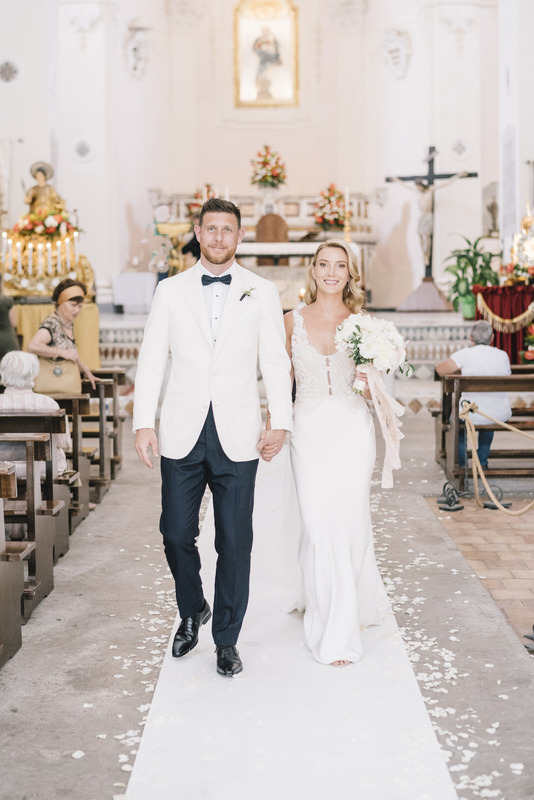 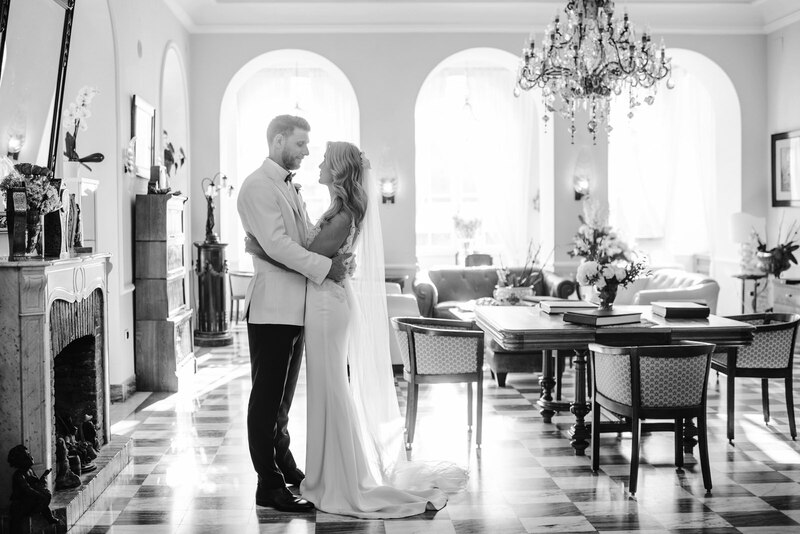 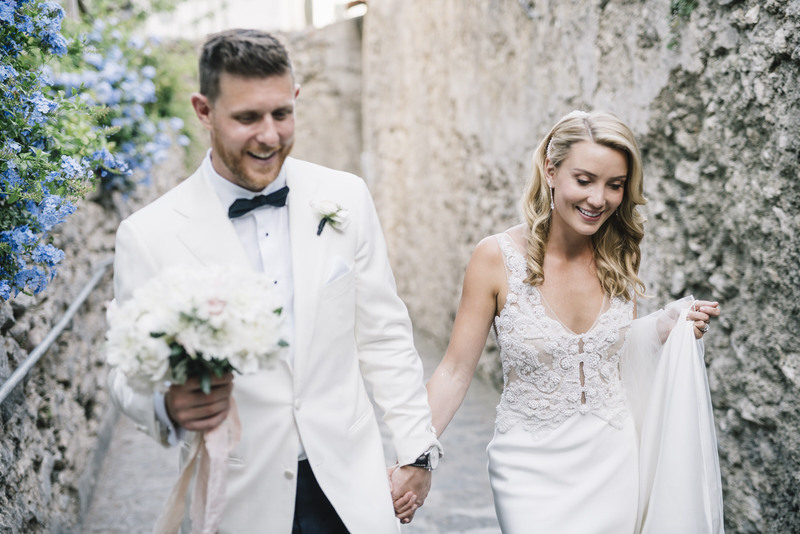 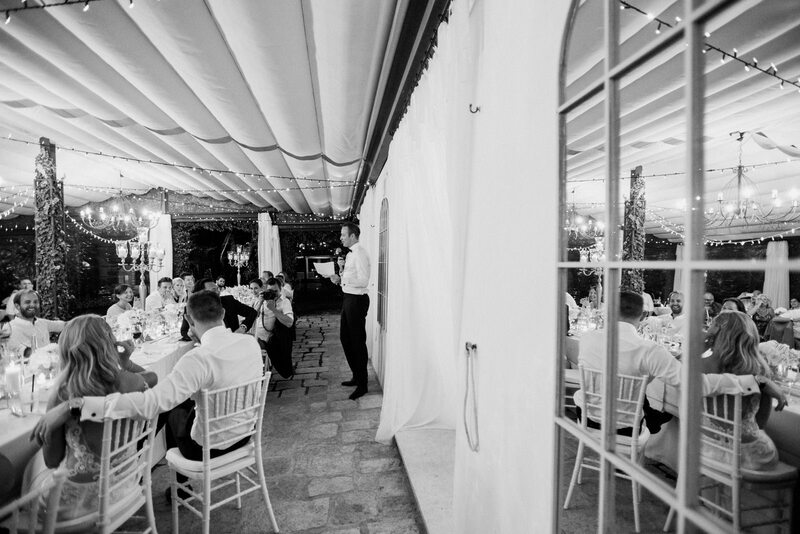 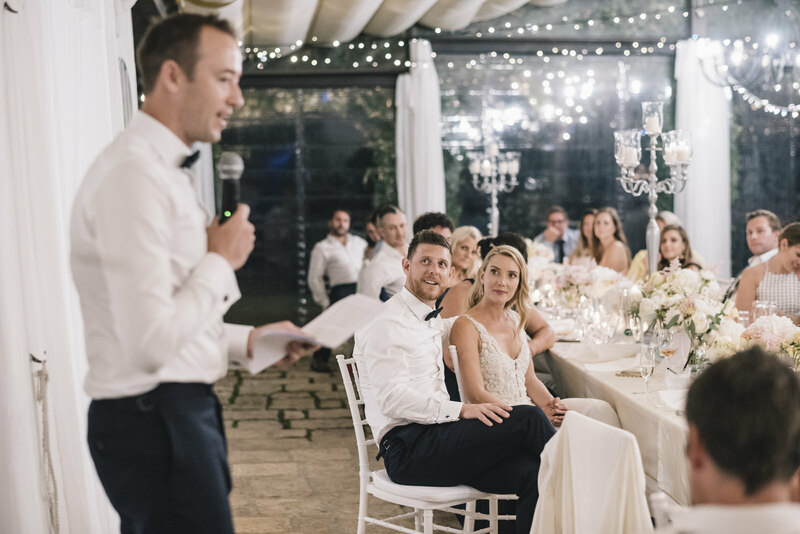 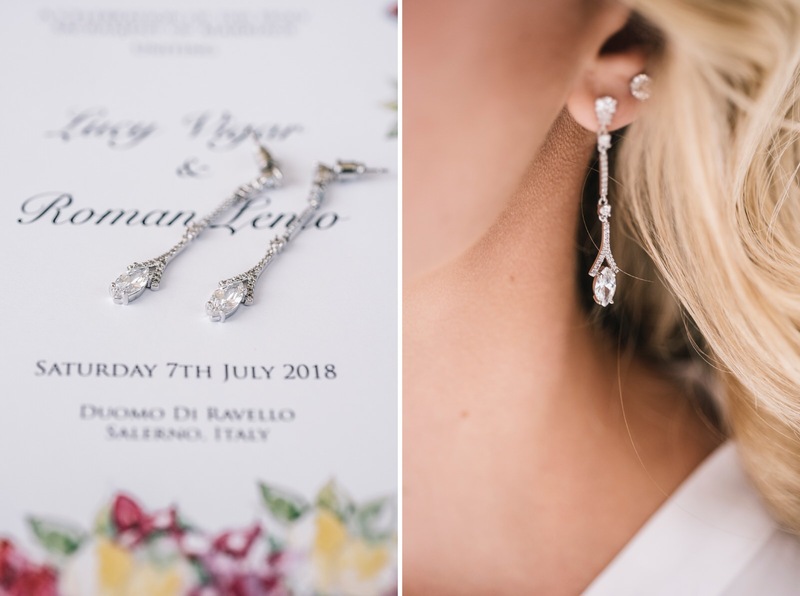 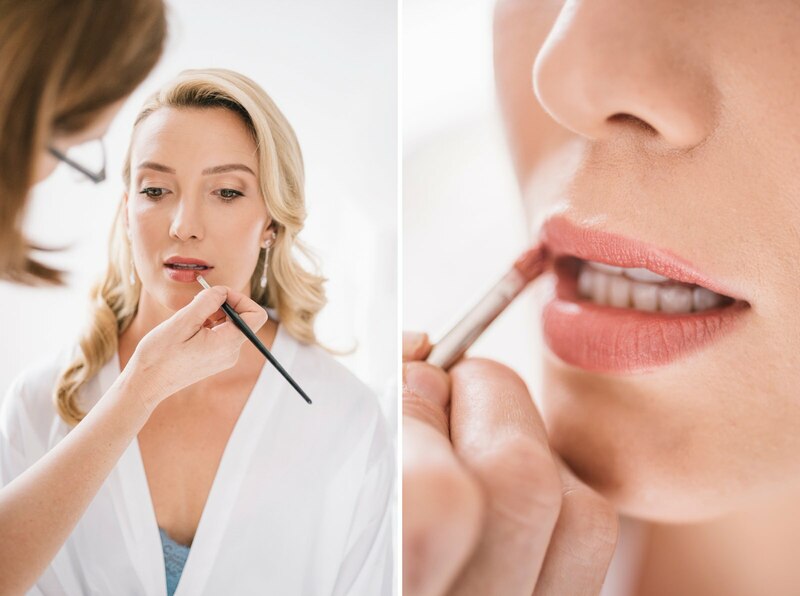 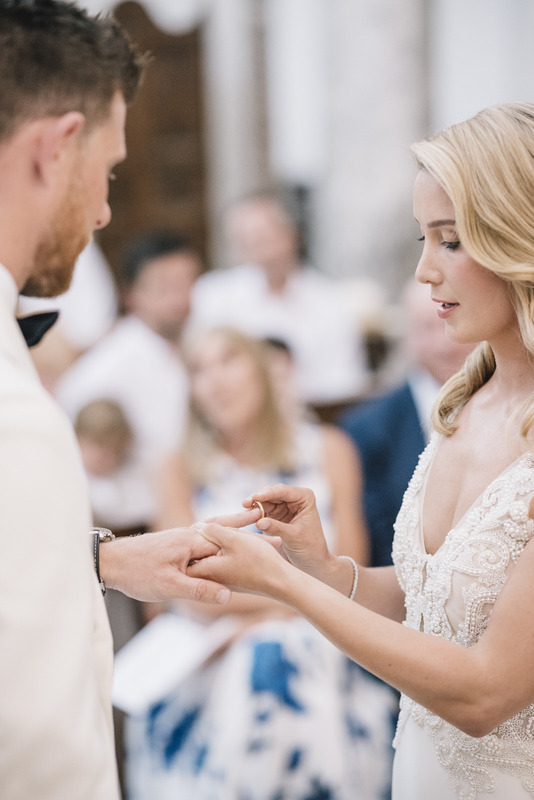 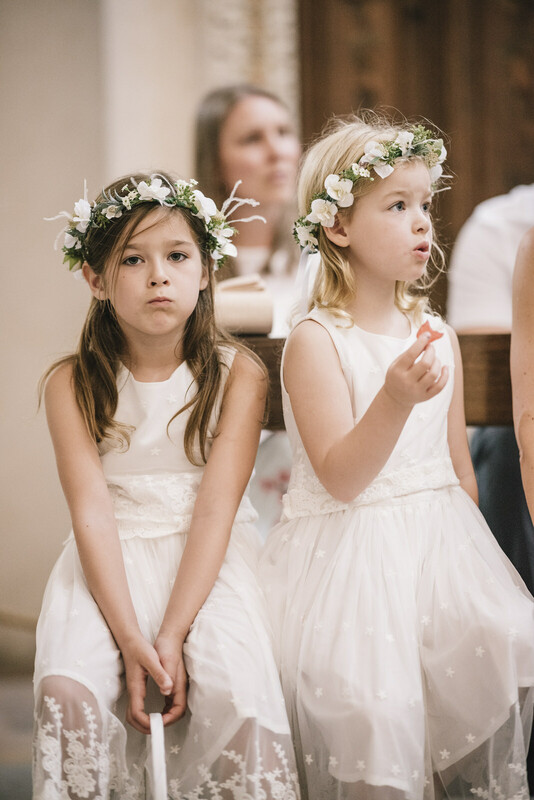 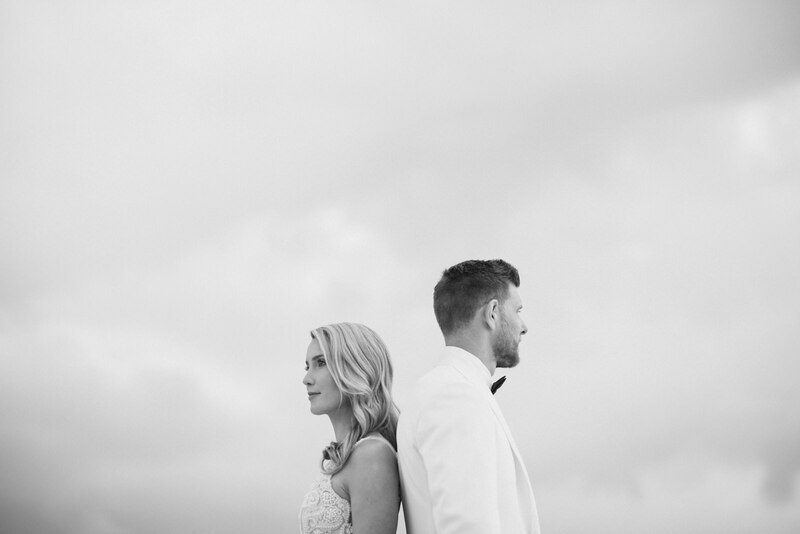 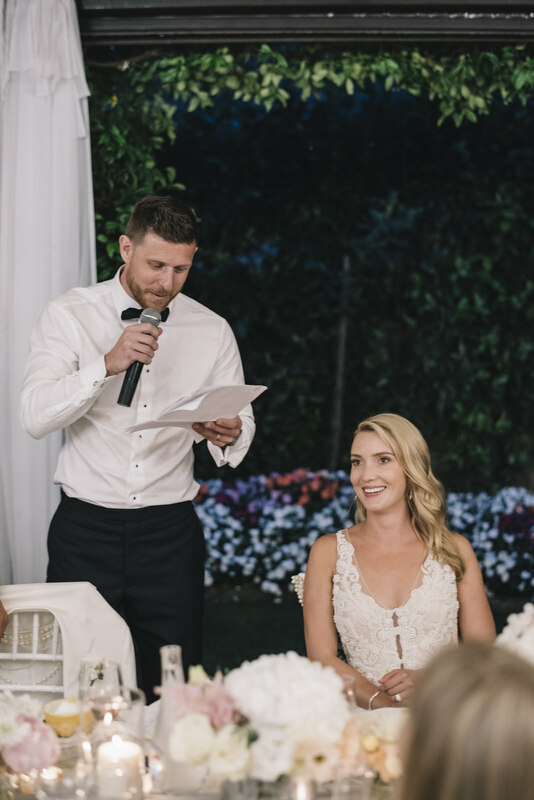 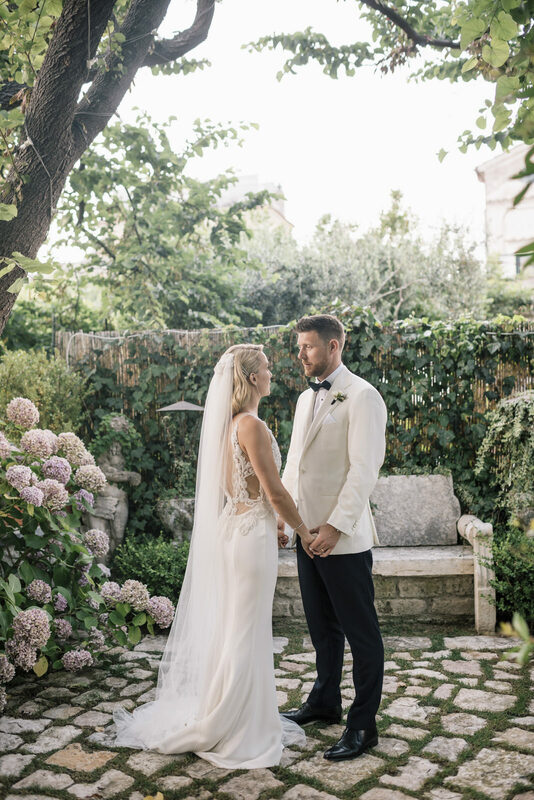 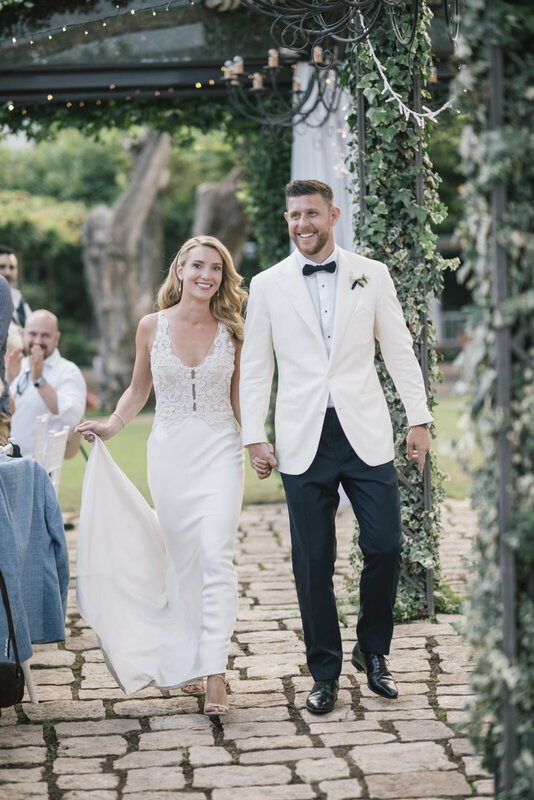 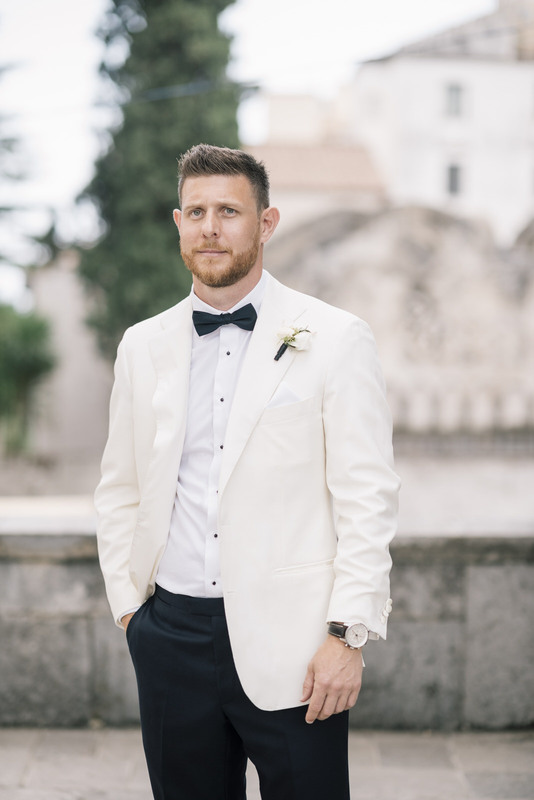 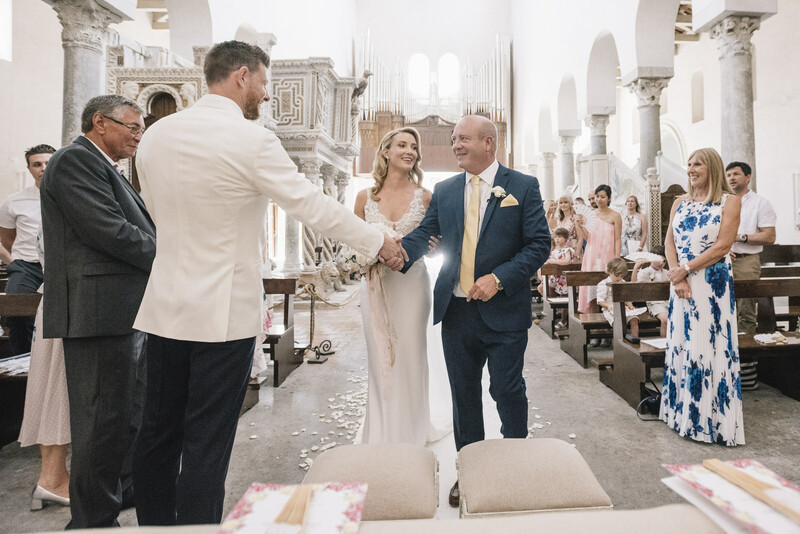 Originally from England Lucie and Roman met in the warmer Australian climate where they spent the last 6 years together, before coming to Italy for a romantic and stylish wedding in Ravello. 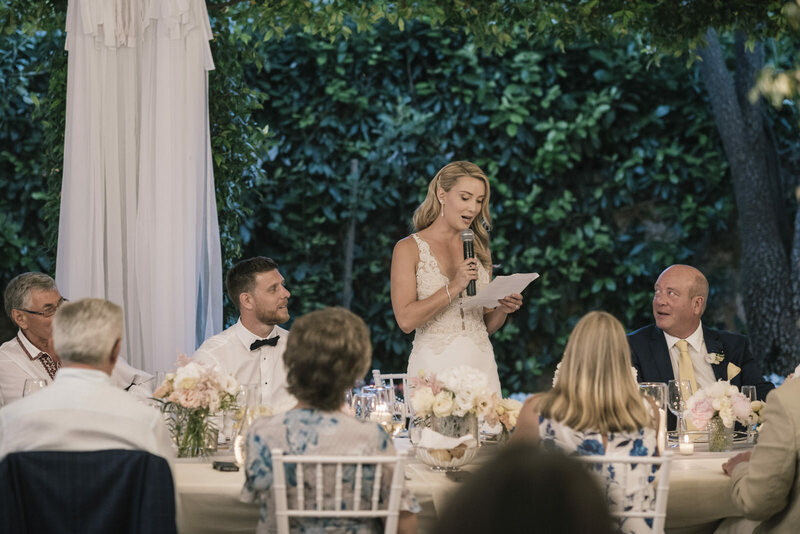 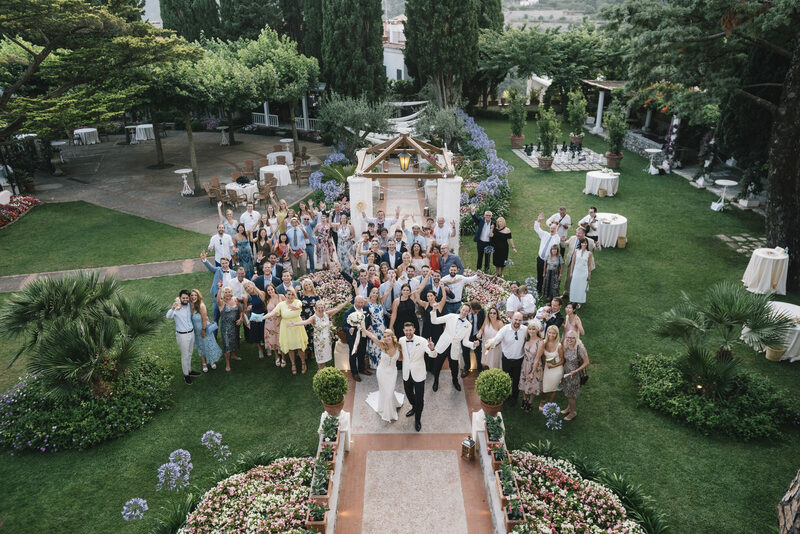 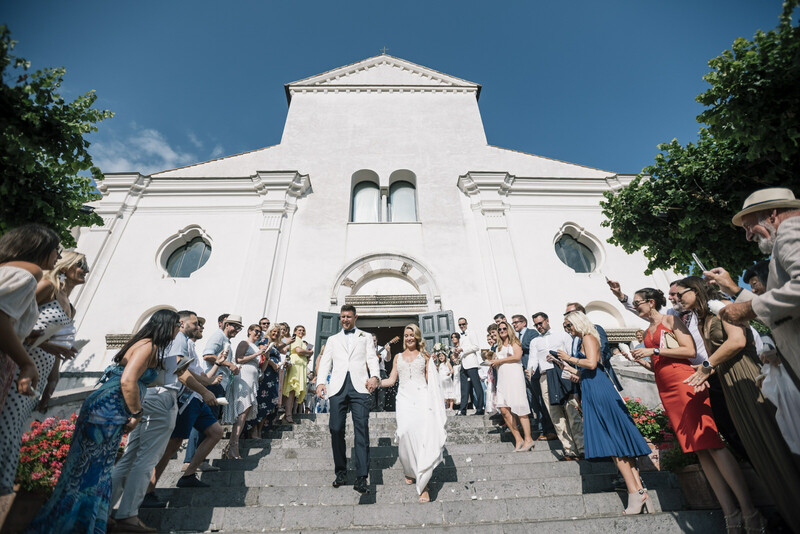 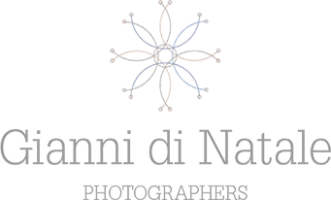 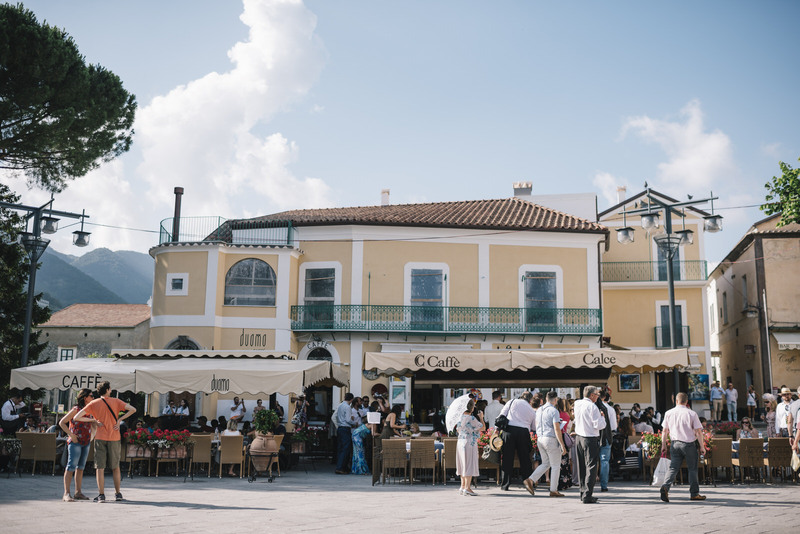 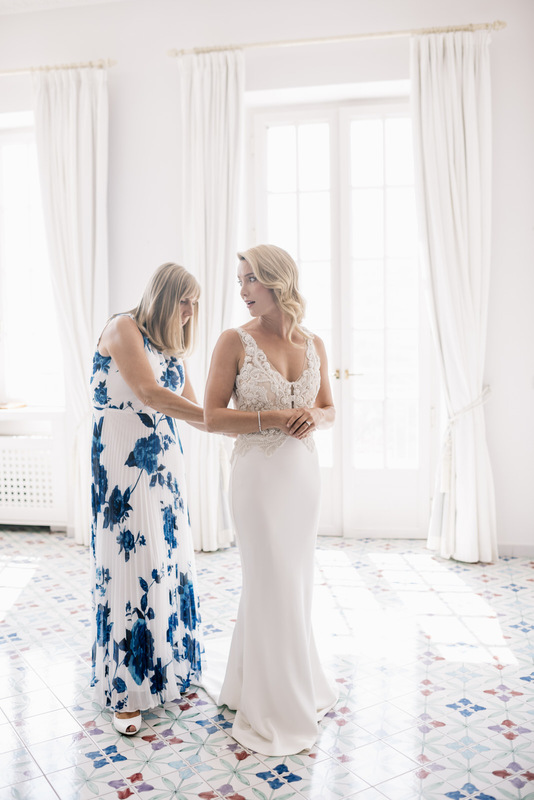 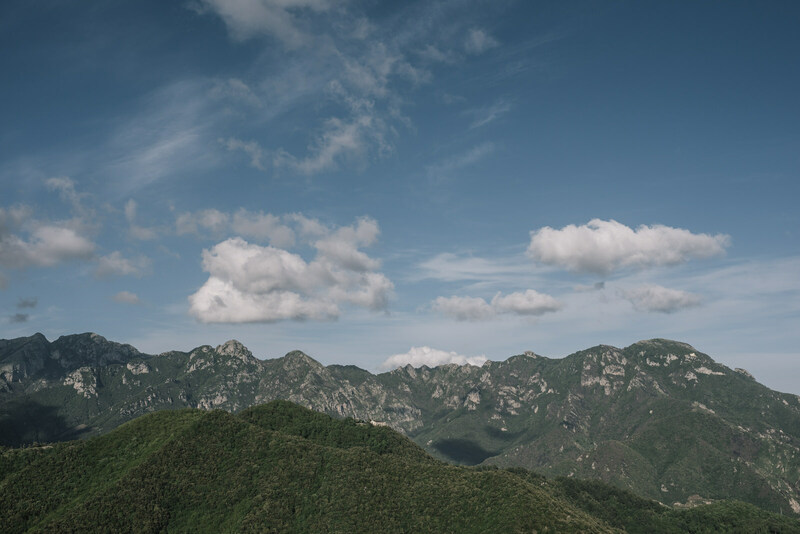 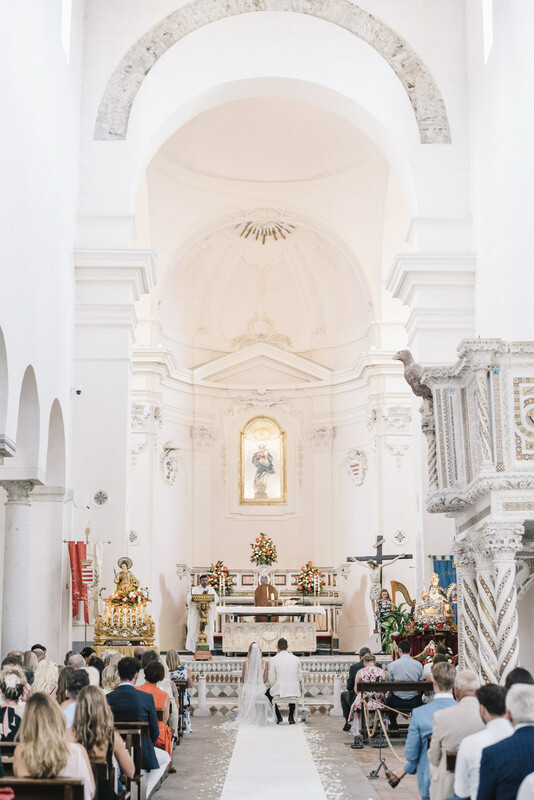 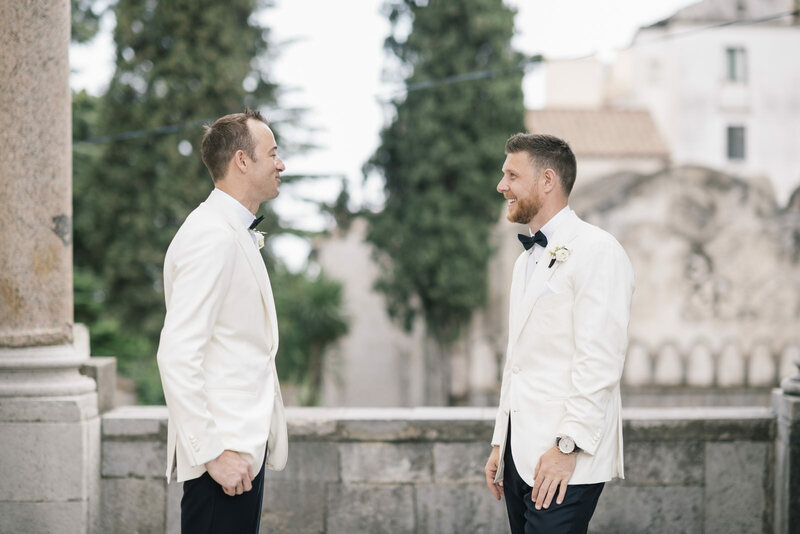 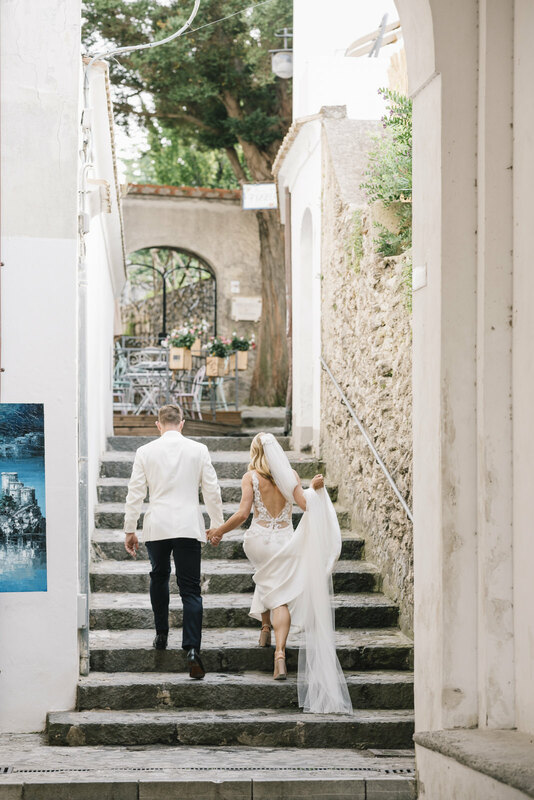 Enterprising, energetic and with a cosmopolitan spirit, they love to travel the world together and so they came to the Amalfi Coast to make their vows to each other. 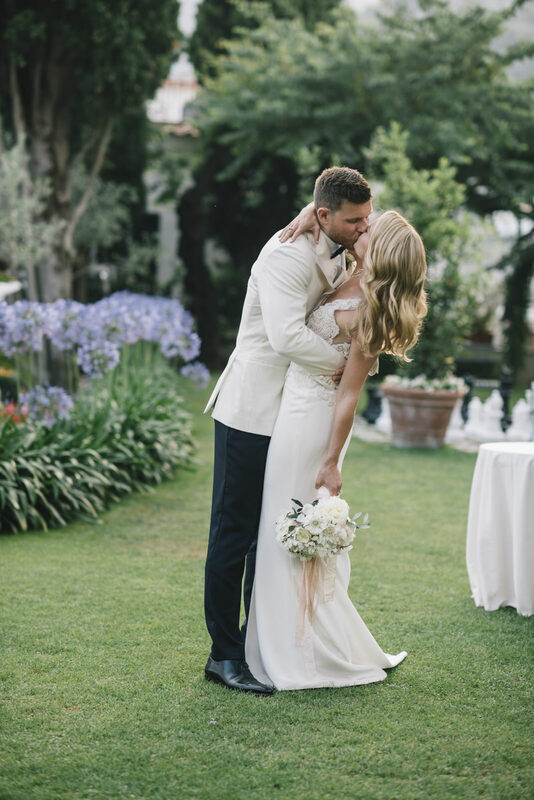 With her long blonde hair waved romantically, Lucie wore a simple and elegant dress from the Helen English collection. 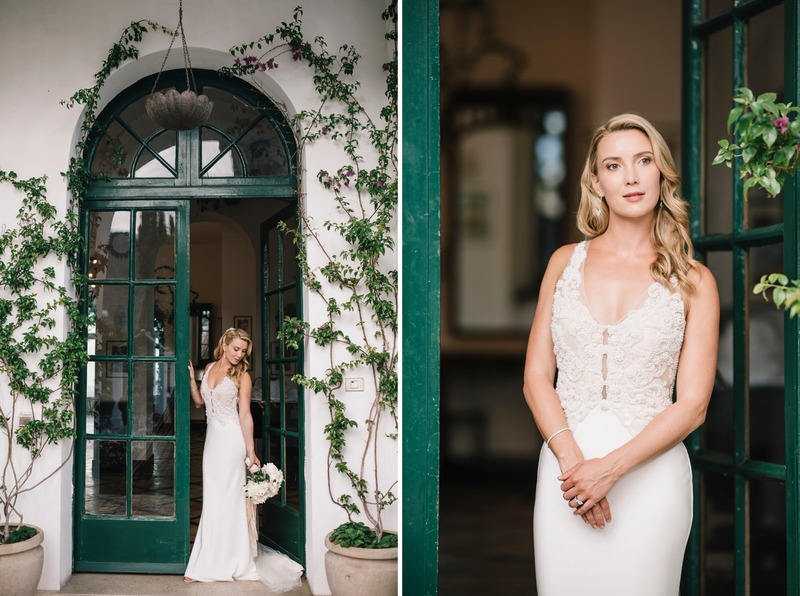 The hand-finished bodice with appliqués and beads added a touch of glamour to Lucie’s impeccable style. 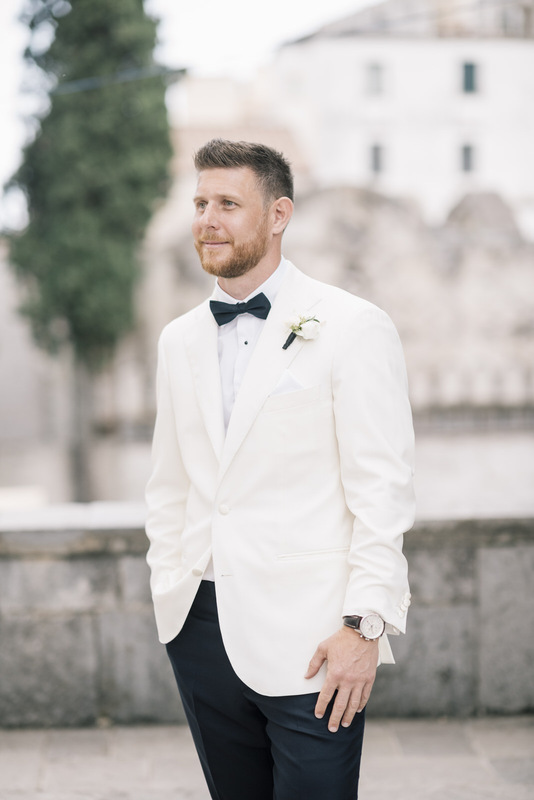 Not to be outdone Roman wore a dress by P. Johnson Taylor, with white jacket and black bow tie. 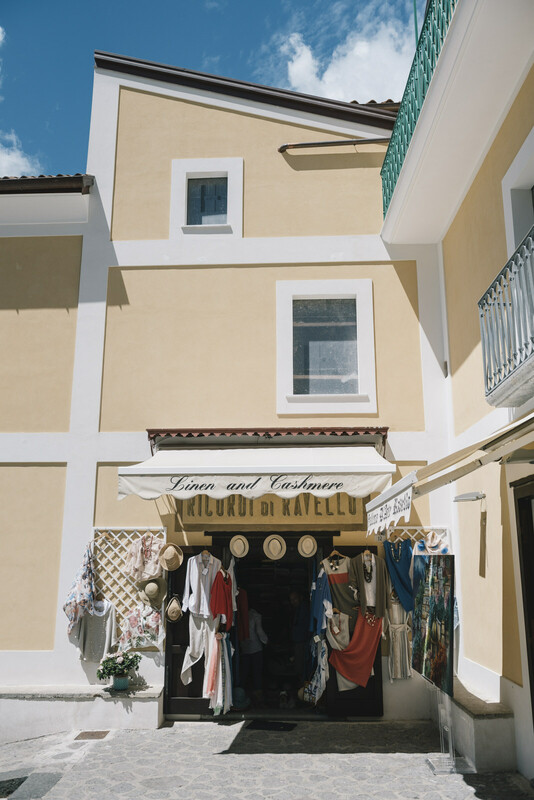 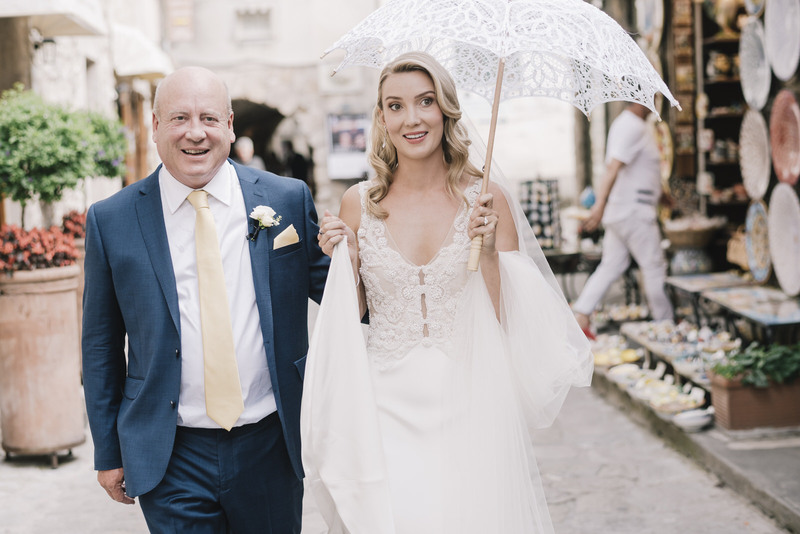 Lucie arrived at the “Duomo” of Ravello on her father’s arm with a white parasol where an excited and smiling Roman was waiting. 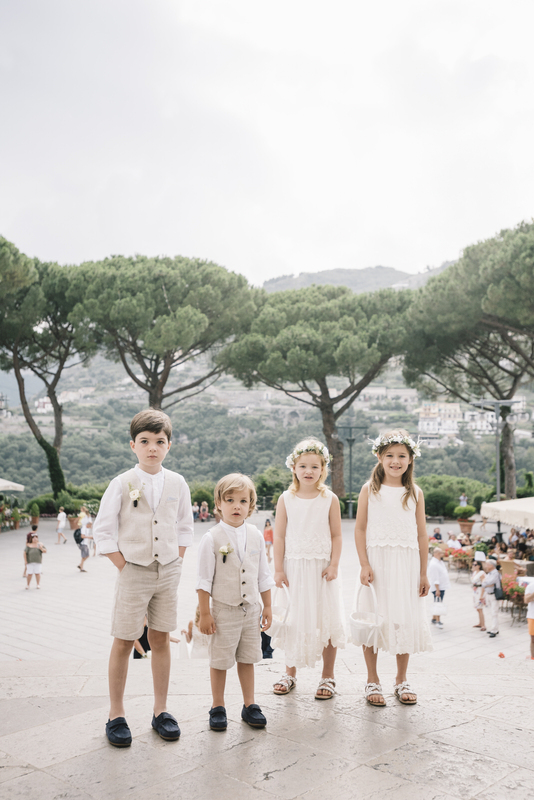 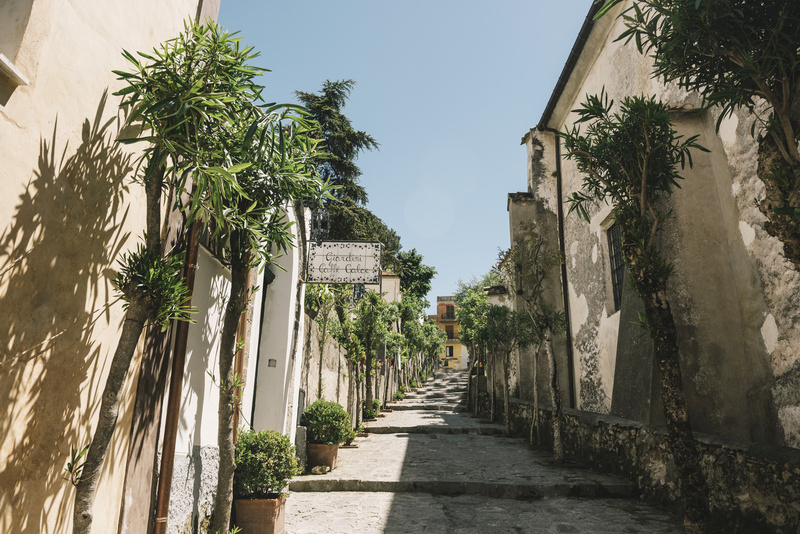 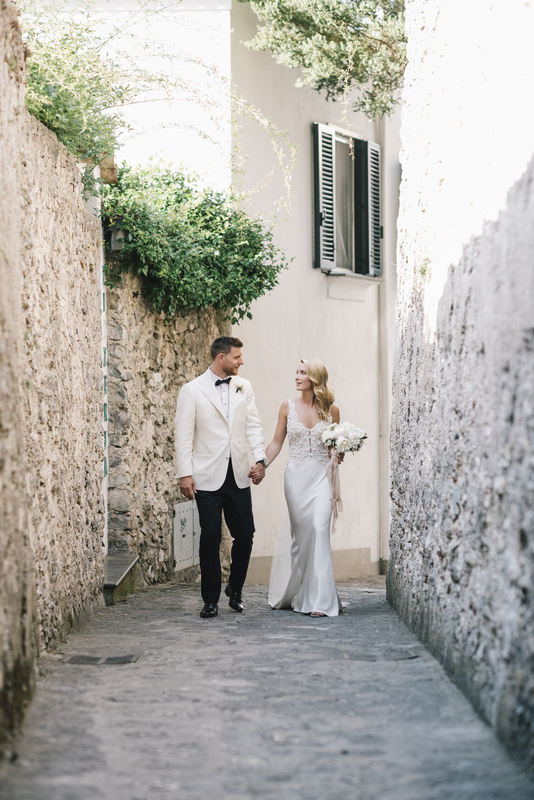 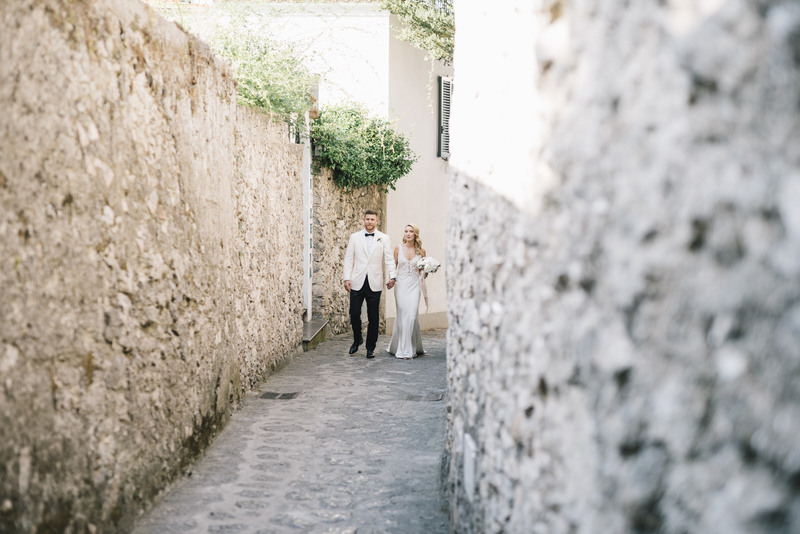 After the ceremony, the toast and the enthusiastic hugs of those present, we walked the narrow street that leads from Ravello to Villa Eva, the location Lucie and Roman chose for the reception. 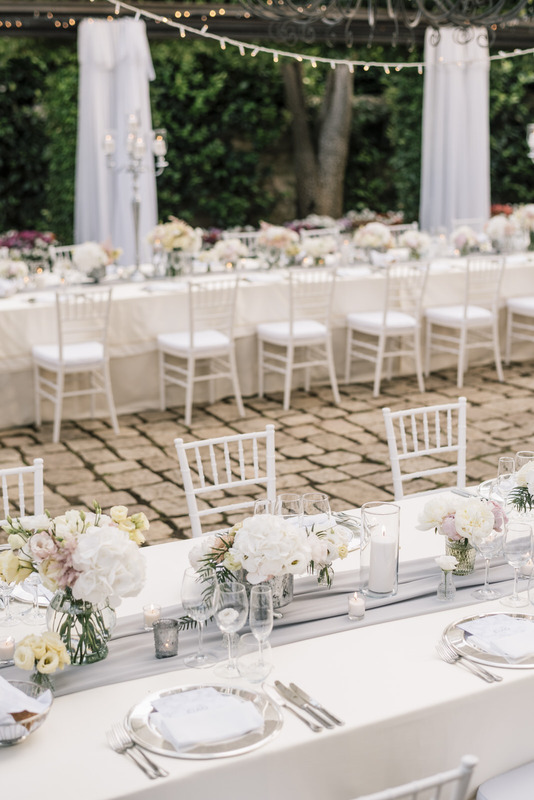 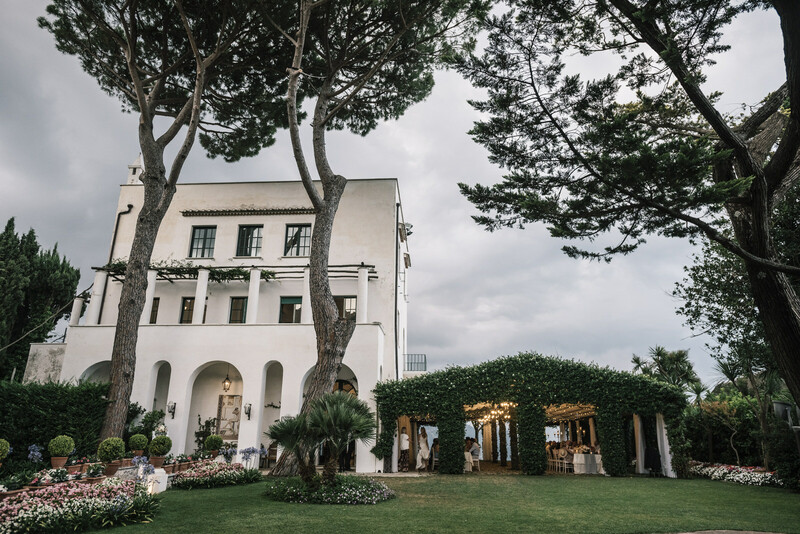 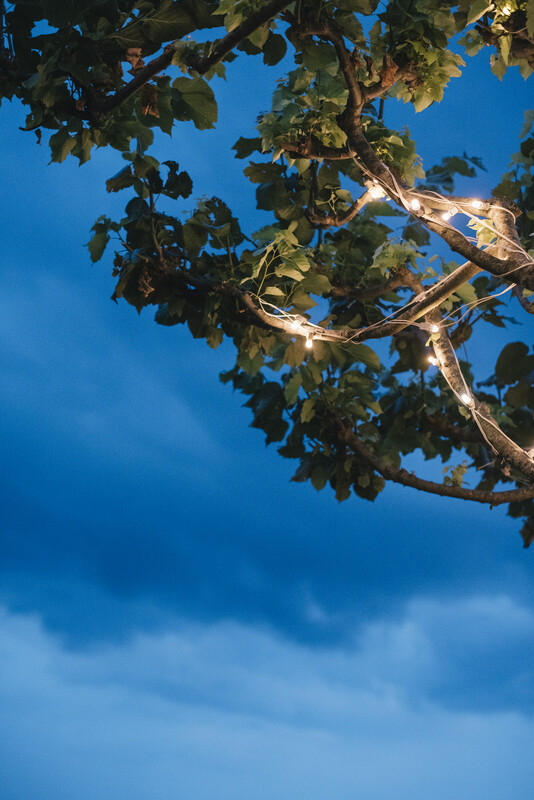 With its gardens, centuries-old trees and panoramic terrace, this intimate and charming Villa welcomed the newlyweds and their guests for a romantic dinner outdoors. 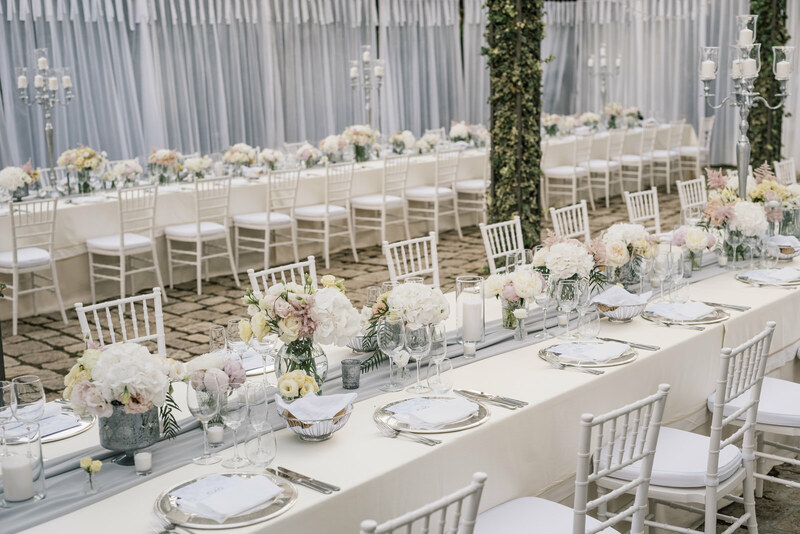 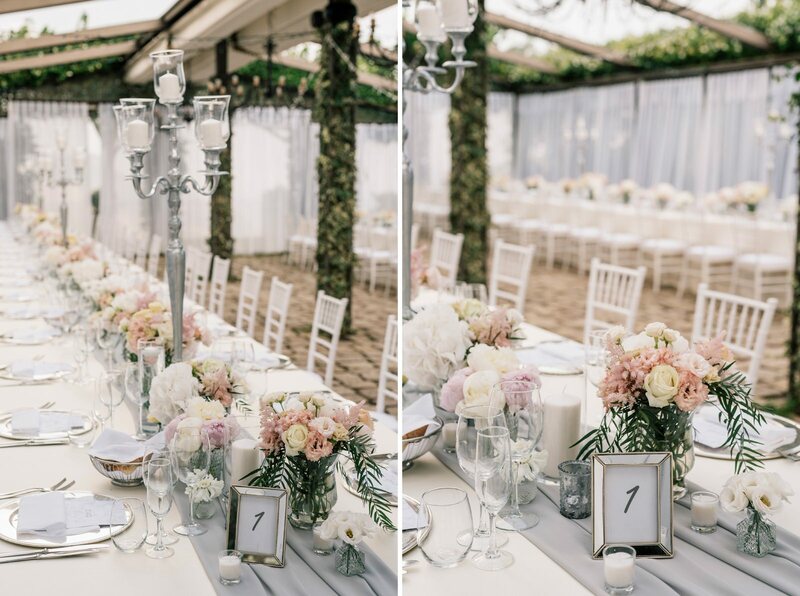 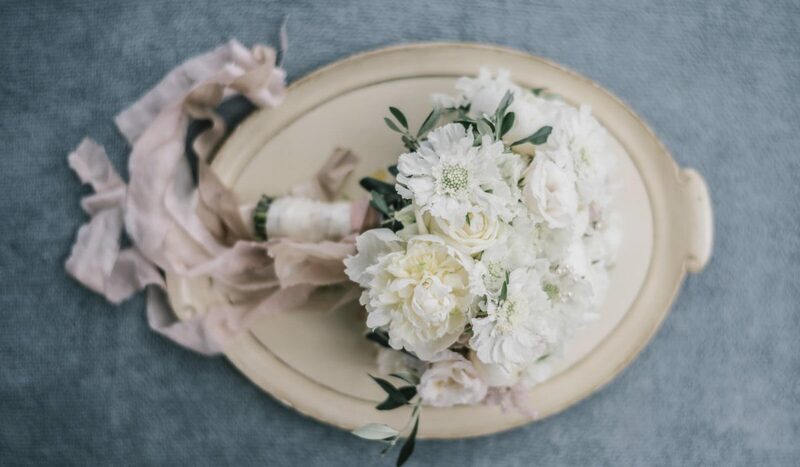 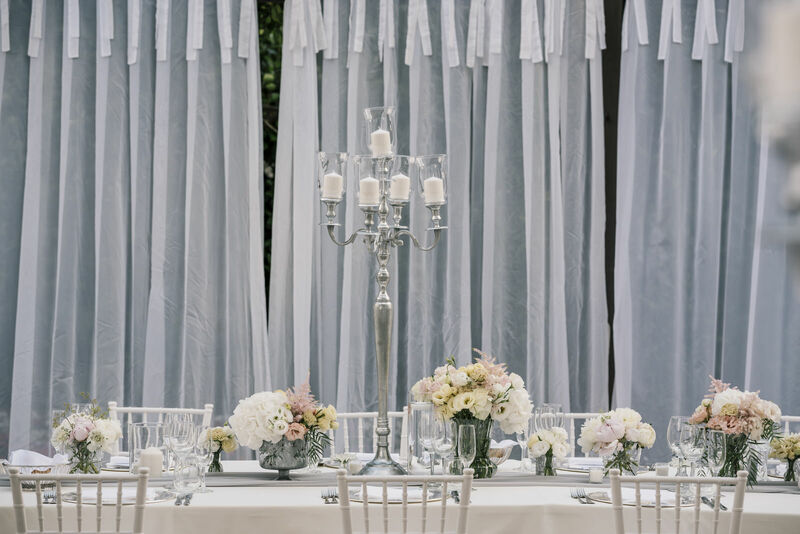 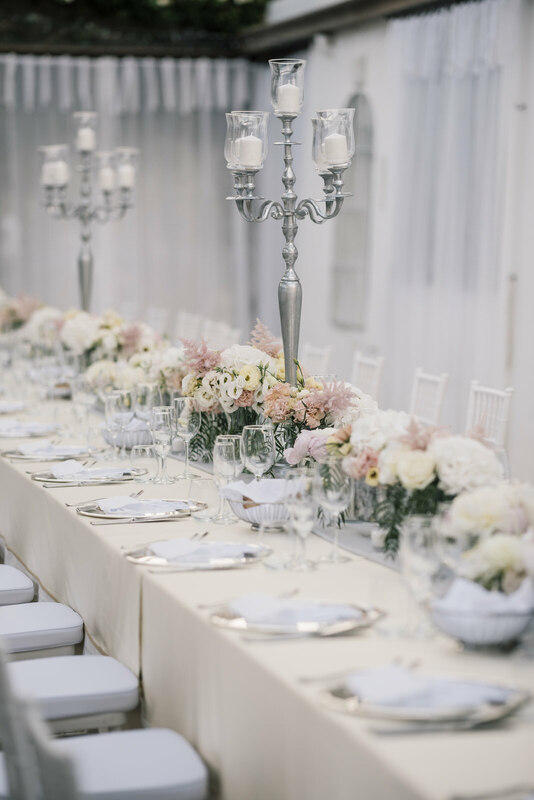 The arrangement of the tables and flowers by Love in the Lemon Grove in collaboration with Kuts Flowers saw the predominance of pink and white pastel shades, with roses and peonies in vases surrounded by silver candelabras. 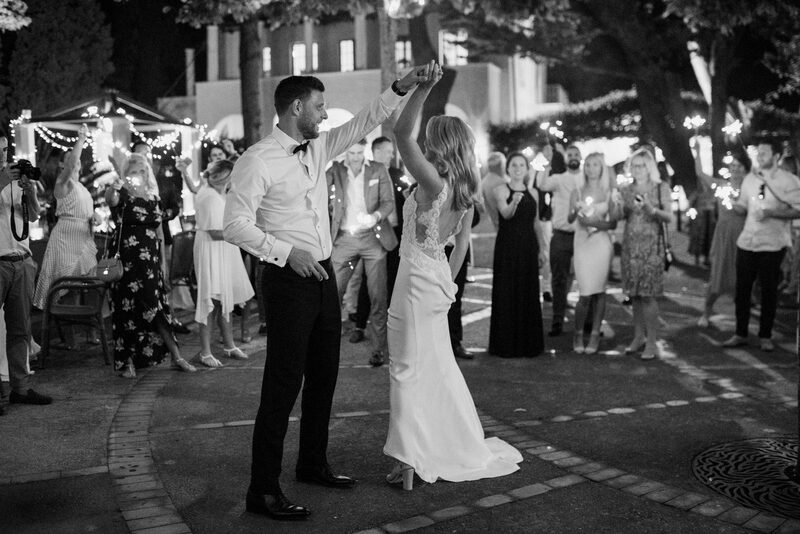 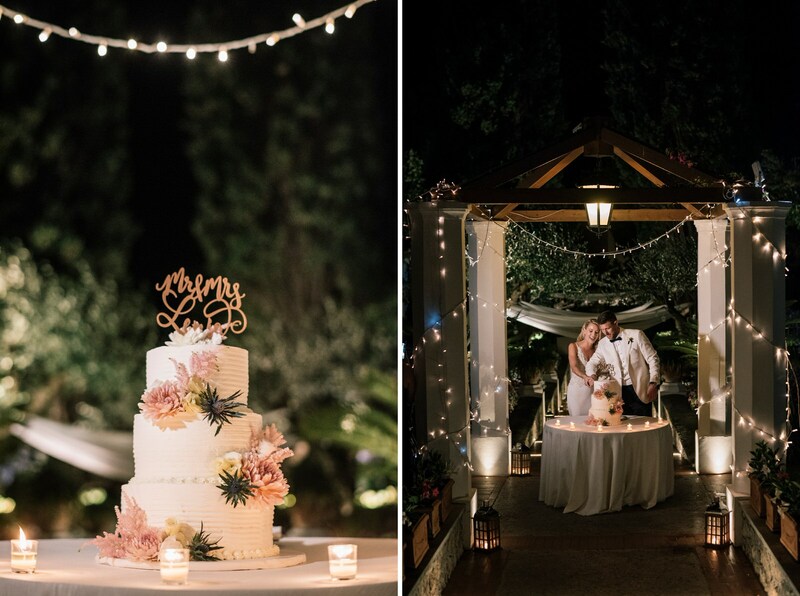 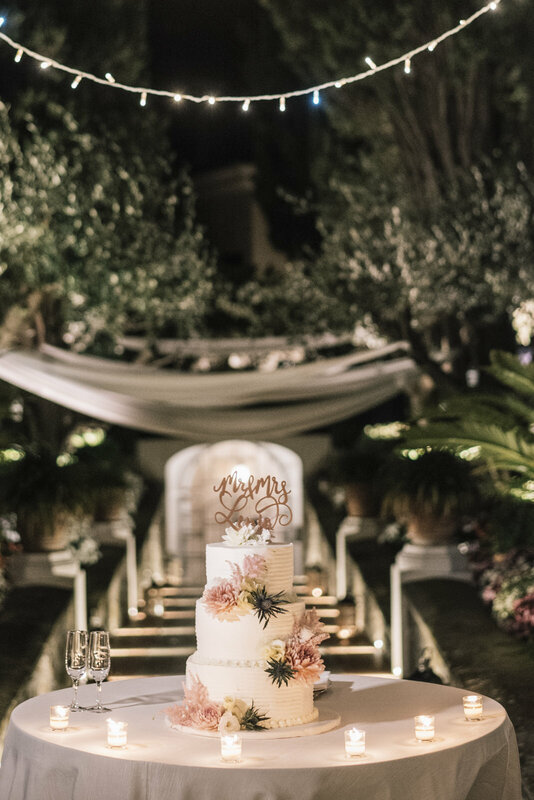 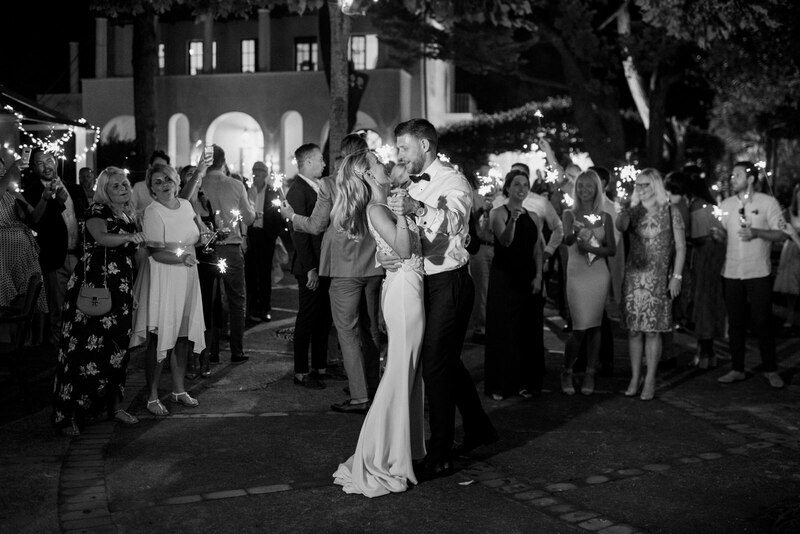 After the dinner eaten in the romantic atmosphere that is always created in the Villa Eva gazebo, Lucie and Roman cut their wedding cake in the surroundings of the garden and then took their first dance surrounded by family and friends. 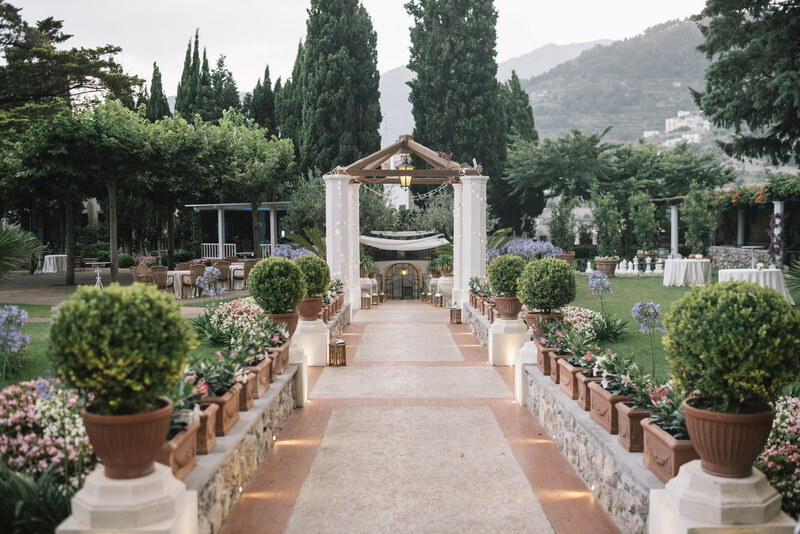 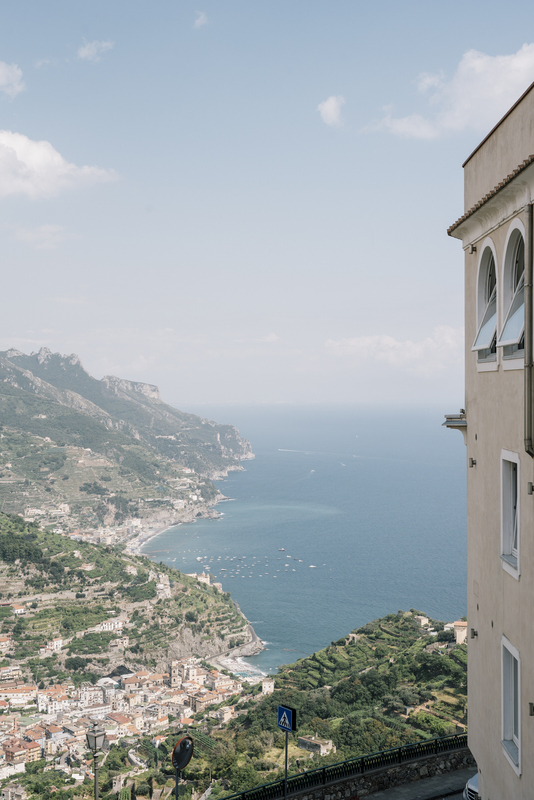 If you are planning your wedding in Ravello and you felt in love with Villa Eva, do not miss our previous blog post “Where to get married in Ravello: the Liberty Style Villa Eva” and let’s get in touch!